Riverport Residential Cleaning - Laundry services for Huntingdonshire. Riverport Residential Cleaning is delighted to offer you a laundry, dry cleaning, and ironing service designed to make your life easier and leave you with more time for yourself. Hand finished throughout the process using only the best materials together with modern equipment and highly trained staff. We are proud to offer the finest quality and service. Everything you would expect from Riverside. Pressed for time? Tired of standing at home ironing shirt after shirt when you could be spending that valuable time with family or friends? We offer a bulk iron-only service from as little as 5 pieces to - as much as you like! We offer hand finished bulk laundry at its best – delivered to you either folded or hanging. And…….our fine quality shirt laundry service includes free button replacement. Sleep tight, don’t let the bed bugs bite! We use special additions in our duvet washing process to assist a hygienic and effective clean. We know how boring changing and washing bedding can be, not to mention time consuming. 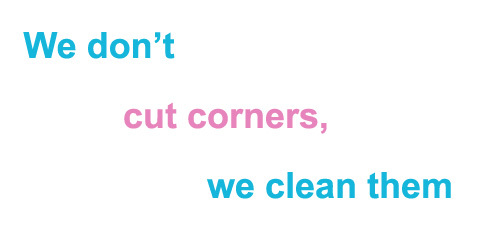 Why not ask our cleaners to change your bedding? We can take it away, wash and put it back on your bed when we next clean your home, ideal as part of your regular cleaning service!